I write high-quality copy for websites and other online marketing channels. I am a close ally of the corporate marketing manager, web developer, graphic designer, and small business owner. 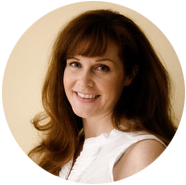 Lisa brings over a decade of experience in marketing, copywriting and consulting on market development. A native of Canada, Lisa found her way to her current station in Gainesville, Florida, via Tokyo, where she spent several years consulting on communications materials for telecom giant NTT and its wireless subsidiary DoCoMo. Before joining SEO Advantage in 2004, she served as the marketing strategist and senior copywriter at a busy Florida advertising agency and subsequently as a freelance copywriting consultant. Lisa’s portfolio ranges from global CPG companies like Sunbeam Products, Inc. and leading international manufacturers like SPX Dollinger, to local small businesses throughout the U.S. and Eastern Canada. Lisa holds an MBA with concentrations in international business and marketing from Dalhousie University in Halifax, NS, Canada. Ever looking to share her marketing ideas with anyone who’ll listen, Lisa has been profiled in books such as Writing Web-Based Advertising Copy to Get the Sale and referenced in the BusinessWeek bestseller The New Rules of Marketing & PR. Her writing has appeared in industry publications like CE Vision and Diesel & Gas Turbine Worldwide, as well as throughout the Web on niche sites like RoadandTravel.com. When off-duty, Lisa can be found planning her next trip abroad or playing sports with her husband and sons, trying out new recipes, and studying Japanese and Marathi. Who is Lisa Banks, really? You can find more customer reviews on my online profiles listed here. If you want to talk about a possible project, email me first, and then let’s figure out a time to speak. I’d love to hear what you’ve got going on and let you know how I could help.